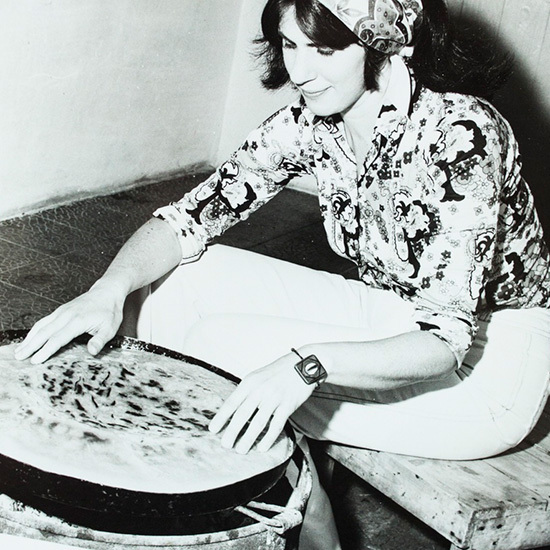 A new project hopes to put Paula Wolfert herself in the spotlight. It just needs some funding. There are many reasons why cookbook author Paula Wolfert is considered a legend. Her ridiculously in-depth and tirelessly researched cookbooks are responsible for bringing Mediterranean home cooking to the U.S. She inspired amazing chefs around the world. And, most recently, she’s become an important Alzheimer’s awareness activist. She has focused much of her life on telling the stories of others and sharing their recipes, but now a new project hopes to put Wolfert herself in the spotlight. It just needs some funding. Unforgettable: Bold Flavors from a Renegade Life, a biographical cookbook about Wolfert and her incredible travels, launched its Kickstarter today. The group behind the book—which includes former Food & Wine editor Emily Kaiser Thelin—is hoping to raise $45,000 to produce and distribute 1,500 copies of the book. Scheduled to be released in the spring of 2017, the book will tell Wolfert’s life story and feature 50 of her most accessible and acclaimed recipes like creamy avocado-sardine toasts, grilled pork skewers and a Catalonian shrimp stir-fry. Pledge rewards include copies of the book, a 30-minute Skype conversation with Wolfert herself and a day at Wolfert’s Sonoma home. If the project exceeds its Kickstarter goal, the group has pledged to use the money to produce more books and donate a portion of the proceeds to Alzheimer’s support and research. Watch a preview video about the book below and support the Kickstarter here.